A certified cleaner comes over and cleans your place. Right now we serve Bournemouth, Poole and Christchurch. Housework exists, whether we like it or not. Beds have to be made, floors mopped, kitchens cleaned and bathrooms scrubbed. Instead of spending your weekends slaving away, leave the cleaning and chores to the experts who love doing it! Regular Domestic Cleaning - Have your home cleaned on a regular schedule by the same cleaner every time. Scratch housekeeping off your to-do list and leave all the housework to the professionals. Let the maids do everything – cleaning, organising, dish-washing, doing the laundry, taking the rubbish out. Office Cleaning - We have been in this business for some years and we have plenty of clients in the whole county. Apart from residential cleaning services, we are also well known for our high-quality commercial cleaning solutions. We service any kind of business: shops, supermarkets, even restaurants and, of course, offices. End of Tenancy Cleaning - One-off cleaning with no time limit. The cleaners you call will do everything it takes for the property to be in a deposit-returning condition. A thorough service based on top UK landlords’ requirements. 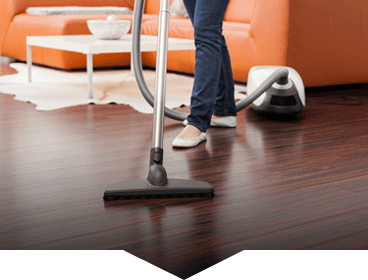 Carpet Cleaning GENIE - Professional carpet cleaners used by experienced technicians equal spotlessly washed rugs and soft flooring. Your carpets will be ready to walk on in no time and all the dirt will be extracted using either hot water extraction or dry cleaning. Oven Cleaning - Among our cleaning services, we offer high-quality oven cleaning in Bournemouth, Poole, Christchurch and the whole surrounding region. It is no surprise that this is one of our most requested services. Caravan Cleaning - If you own your own vehicle, it will be a lot nicer to take it back home all cleaned up. That way it will be ready for storage or your next trip as soon as you get home. After you get back from your holiday, you will probably have lots of other things to attend to besides cleaning out the old dirt and sand from your caravan. The Professional Cleaning Company That Puts Your Demands First! With over 10 years’ cleaning experience, we know what you need when it comes to selecting a cleaner for you. From housekeeping to ironing and all your cleaning needs, we offer flexible and affordable solutions to give you back your precious weekends. We’re linking excellent cleaners to the most demanding of customers. We select a trustworthy and reliable cleaner to suit your needs with fill-ins and replacement cleaners available if ever required. Our cleaners are star rated after each task. Select your City, Post Code, number of bedrooms and bathrooms, date and relax while we take care of your home. For Southampton or Portsmouth bookings please visit TCS Cleaners Southampton and TCS Cleaners Portsmouth. Fast and friendly customer service folks. Our average response time for emails is now 14 minutes. Call now and mention 1st Clean Promo to get 50% off when you book a regular cleaning service. Give us a go, you’ll love the extra help! With our busy work schedules, my wife and I, have found that keeping our house clean was close to impossible. I was looking for someone to clean my home in Bournemouth when I have found TotalClean's cleaning service on Google and contacted them for a quote. After their first clean I knew we have found the cleaning company for our family. Their cleaning service is phenomenal. Book Your Friendly Cleaning Services from TotalClean Solution Bournemouth Today!